Tony Ray knows how cheating can ruin a good time online. Two years ago, he was among video gamers who regularly conquered rivals in the three-dimensional combat game "Team Fortress." Then something odd started happening. Opposing teams acquired supernatural powers. They could see and shoot through walls. Their perfect aim just wasn't humanly possible. The online world, Ray was discovering, has its share of cheats and scoundrels. "Basically, it just destroys the integrity of the games," laments Ray, a 35-year-old self-employed Houston software developer. 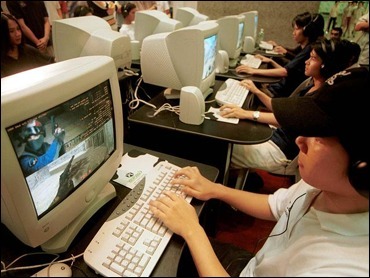 While rogue players have plied Internet-based games for years, they can now be expected to annoy and rile not thousands but millions as the networking of game consoles moves video games online in a very big way. There are hackers who write programs that give them perfect aim in shooting games. And then there are so-called player- and team-killers who hunt down and slay others then steal their virtual possessions. Some ne'er-do-wells find loopholes to duplicate money or weaponry ad infinitum. Still other online rascals solicit e-mails to snare players' user names and passwords, which they use to access accounts and strip them of valuables. Such practices have long been the ire of PC gamers. And while consoles have yet to be impacted, industry leaders including Microsoft and Sony fear such cheats could ruin an entertainment form still in its infancy. The revenue potential is huge for online gaming, which IDC analyst Schelley Olhava projects will reach some 10 million households by 2005. Microsoft and Sony have just launched online gaming networks for their Xbox and PlayStation2 consoles and officials of the two companies say their consoles were designed from the hardware up to thwart cheating. Broadband-only Xbox Live, which expects to offer 14 multiplayer games and have 100,000 subscribers by year's end, uses a secure network to keep out cheaters, said Cameron Ferroni, Xbox product manager. "The number one thing we worked really hard to prevent is anyone from running code that we haven't authorized," he said. "You can't just go in like you can in a PC." Sony, meanwhile, is banking on its experience with "EverQuest," a PC-only online world with nearly a half-million dragon-slaying and treasure-seeking players. Key to foiling cheaters is a responsive community like the one in "EverQuest," which has been quick to alert Sony to new hacks, cheats and exploits, Sony spokesman Scott McDaniel said. Beyond network security, Microsoft touts a reputation system that, like eBay, lets players rate their peers. Those who don't play by the rules will find it hard to locate online partners, Ferroni said. "It creates its own social upward spiral, which is a really cool thing," he said. Fostering a sense of community may be key to derailing cheaters, given that the anonymous nature of online games often is what entices people to cheat in the first place, said Peter Crabb, associate professor of psychology at Pennsylvania State University. "The player is - and feels that he or she is - alone and is not under surveillance by other players or the game hosts," Crabb said. After Ray's experience with "Team Fortress" cheaters, he founded Even Balance, Inc. where he developed "Punkbuster," anti-cheat software for PC games. "When you run into cheaters, you're saying 'Those little punks!' The idea was to detect cheaters and report them so that they would not be able to play on the server," Ray said. Punkbuster appears to be working. Gamers sign up to play on cheat-proof servers, and players who don't use Punkbuster can't join, Ray said. He said cheaters regularly find ways around Punkbuster but a quick software patch usually mends the problem - until the next exploit. The software is used on about 80 percent of the thousands of computers that host online matches in the wildly popular WWII shoot-em-up "Return to Castle Wolfenstein." "Soldier of Fortune II" and "Quake III: Arena" are other titles that include the option to play in Punkbuster-safe games. For now, Microsoft, Sony and Nintendo have successfully blocked Hong Kong-based Lik Sang International Ltd. from selling special "mod" chips that allow users to alter the innards of their consoles. Sony, meanwhile, has managed to stop "ShowEQ," which spies on the "EverQuest" network and lets players see all the monsters and other players on the map - things normally hidden from view. Non-gamers may find all the fuss over online cheating a bit much. But to those who've invested lots of time in their hobby, it's no laughing matter. "It's a very emotional but serious issue to these gamers," Ray said. "They spent a lot of money on their computers. It just kills the game is what it does."